A beautiful cake makes any holiday or special occasion more festive! Here’s your chance to learn from the pros, in this buttercream cake class led by Palmer’s expert cake decorators. Each student will receive an eight inch cake, turntable and set of spatulas (yours to keep), and choose from a variety of cake flavors and fillings. 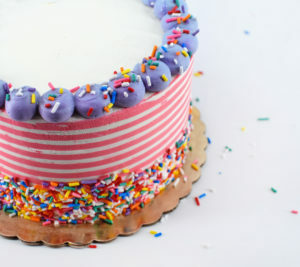 Instruction will include: how to cut, fill and crumb coat a cake; icing a cake in buttercream, basic piping skills; and decorating techniques such as sugar roses and gum paste bows. Whether you are a beginner in the kitchen or an old hand, you’ll learn valuable tricks of the trade as you decorate a cake from start to finish, and have a great time doing it!